Sefra will spend time at a seed bank in Fiji where she will conduct an ethnobotanical impact assessment of taro with the 2018 Genebank Impacts Fellowship program. As part of her work, she will be in the field gathering stories about how seeds that had been housed in a seed bank were redistributed during the Taro Leaf Blight epidemic in Samoa in 1993, helping to maintain taro as a staple food crop. At a seed bank, those crops that are best adapted to the soil and climate and are resistant to local pests are selected. Some of those crops’ seeds are stored, and others are re-planted to grow more crops. Regional farmers also contribute to the seed bank with seeds from their best crops. A seed bank is like a living library. It can help retain a region’s unique biodiversity and avoid varieties of seeds from being lost, according to Sefra. She is also working in Haiti on an ongoing project to support a seed bank there by mentoring local agronomists in seed bank operations. 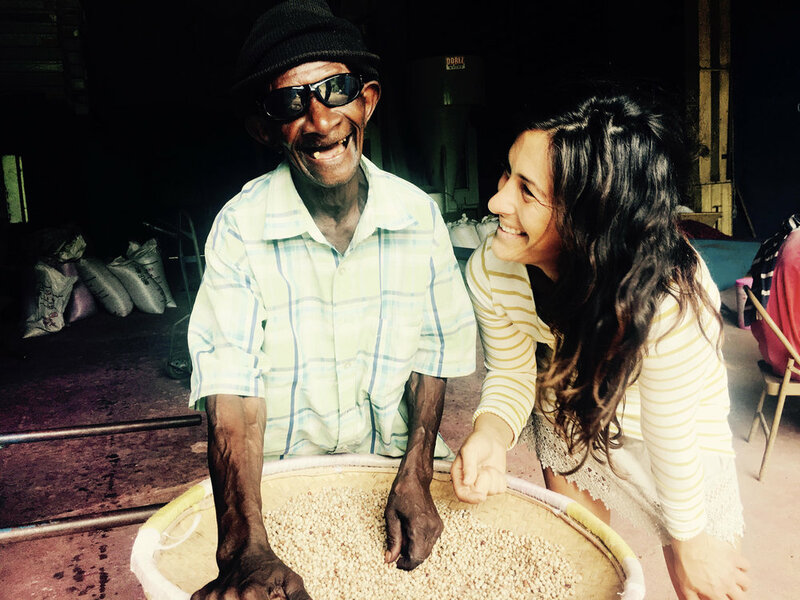 Sefra first traveled to Haiti following Hurricane Matthew in 2016, when she witnessed what she describes as massive agroecological erosion happening in the country. She went back again for a research trip and connected with local ecologists and agronomists, including Eliassaint Magloire of the Organization for the Rehabilitation of the Environment. Eliassaint has spent decades working to build a seed bank to preserve staple food crops. Sefra has joined his efforts and continues to support him. In an impoverished country like Haiti that is vulnerable to forces of nature like ongoing drought or the 2007 earthquake, having a seed bank can provide seed sovereignty. During times of emergency, local people can cultivate their own crops rather than rely on foreign aid for food, for example. Seeds “have the inherent technology of all the people who have stewarded them before their time from future generations,” Sefra said. Part of the mission of the Haiti project is to establish a female-led cold-pressed castor seed oil co-op that will financially ensure the long-term viability of the project. Although about 93 percent of Earth’s vegetable varieties have already gone extinct, Sefra remains optimistic. Anyone can join in on “the seed-saving party,” she said.